If you’ve been following the developments in the Sandy Hook Elementary shooting, then by now, you’re aware of every detail of the incident. Thanks to the medias obsessive over reporting, we know what the killer, Adam Lanza, wore that day, what type of video games he liked to play, and the type of weapons he used: 3 guns, including a .223 caliber Bushmaster AR-15 semi-automatic rifle. 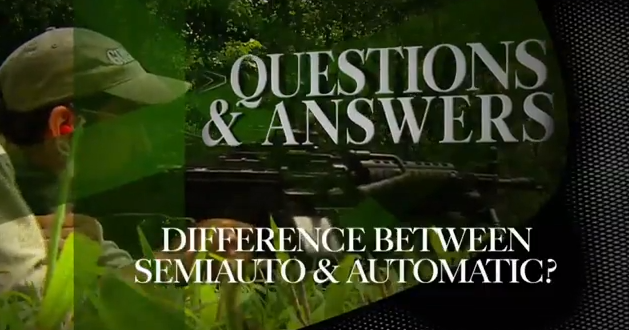 As tired as even we’re beginning to get of hearing about this tragedy, we couldn’t help wondering, when it comes to guns like the ones used in Newtown, what’s the difference between a semi-automatic and a fully automatic gun?